What is a Workers’ Compensation investigation? A workers compensation investigation helps to examine the validity of a workers compensation claim. People can exaggerate their injuries or just outright lie when filing a claim. 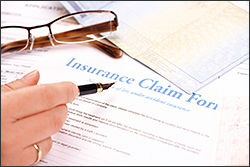 At TCI we can determine the difference between honest and dishonest claims. These fraudulent claims can be a costly endeavor. According to California’s department of insurance in 2010 there was over $276,894,742 in losses due to Workers’ Compensation fraud. When should I Use a Workers Compensation Investigation? At TCI – we have been hired by insurance agents and adjusters, people who run their own business, or otherwise are responsible for employees or workers. Workers’ Compensation investigations can help ensure that the workers filing a worker’s compensation claim are truly entitled to the compensation they receive. If you want to learn more, contact TCI and we will discuss a sound strategy to get the evidence needed. What techniques does TCI use to find the truth? • Surveillance – This is the main tool used in Workers’ Compensation investigations. This may include the use of photo, video, or other surveillance methods to determine the validity of the claims. • Interviews and research – Interviews and research may be used to develop a background on the claimant. We will uncover how extensive the injuries are by interviewing friends, family, or colleagues. • Evidence gathering – Our investigators can gather crucial evidence if they uncover fraud. This can help employers and businesses cut off workers compensation claims that are not legitimate. At the end of the investigation, we will find the truth. We will then turn over all documentation, including photo, video, and writing. Why trust your claims to investigators who don’t specialize in surveillance? Our agency does surveillance cases every week in the whole state of Wisconsin. We feel this puts us a step ahead of other agencies since we have the equipment, experience and resources to capture the split second evidence you need to expose potential fraud. Call Third Coast Investigations – Professional Wisconsin Private Investigators now for information regarding Workers’ Compensation investigations, any other service or a free phone consultation.